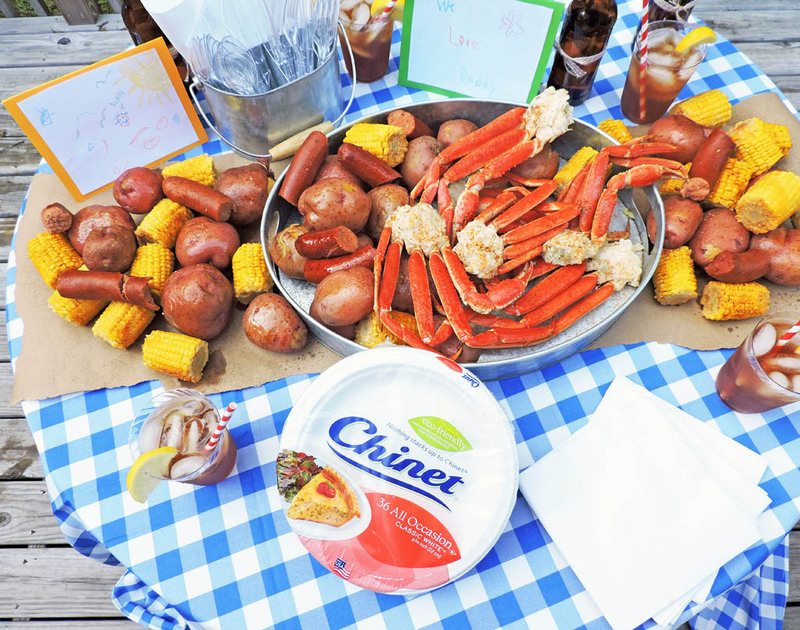 When preparing for Summer, outdoor cookouts, paired with Chinet® Classic White™ products, are a MUST! My husband and I love to spend most of our days outside, soaking up the sun…and of course, we let the kids tag along every now and then! Lol! With Father’s Day around the corner, my husband starts to throw out subtle hints about what he wants! Okay, actually they aren’t subtle at all…he tells me exactly what he wants! Lol! This usually includes a “Bunny Basket,” and a huge seafood dinner at home! So a little history behind the Bunny Basket…my husband calls me, Bunny….but please, don’t EVER repeat that! Lol! I love to make gift baskets and have been making him one every year for Father’s Day! I always beg him to let me do something different, but it’s always the same request. Now, the story behind why he calls me Bunny will NEVER be told! Lol! 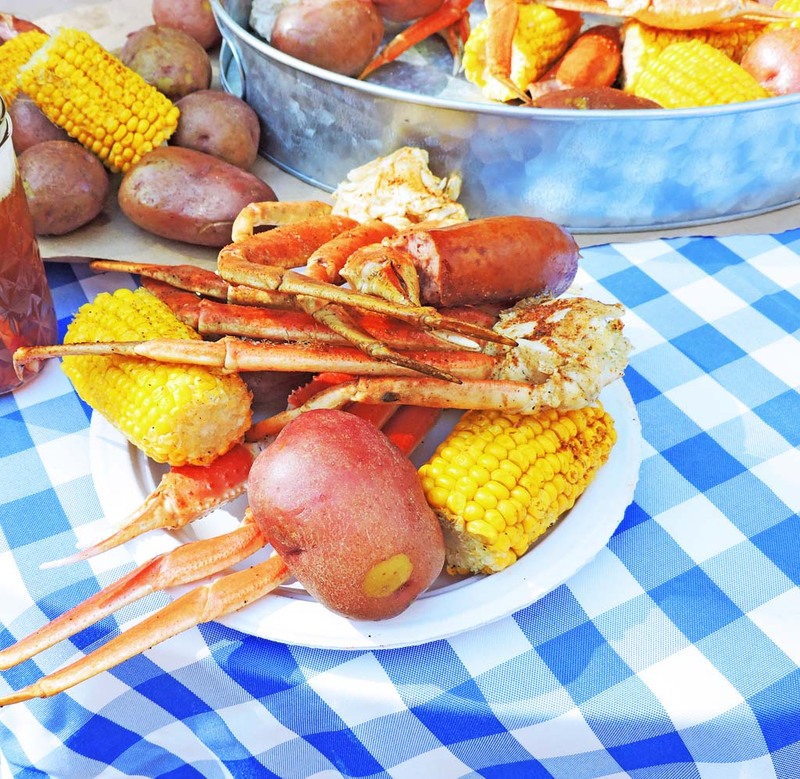 The annual seafood dinner came about because of my husband’s love for crab legs and his strong dislike of standing in long restaurant lines on Father’s Day! 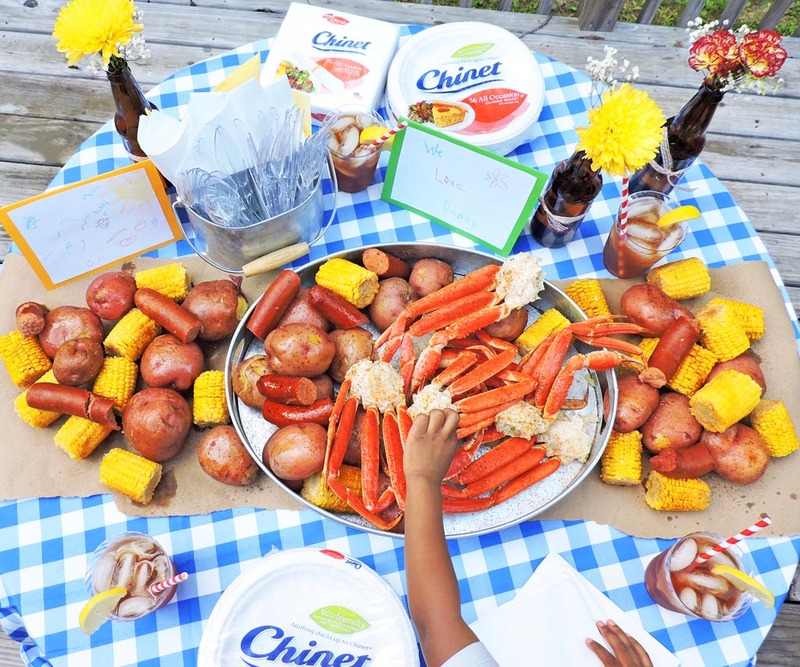 To switch things up a little bit, I decided to throw my hubby an Outdoor Crab Feast for Father’s Day. 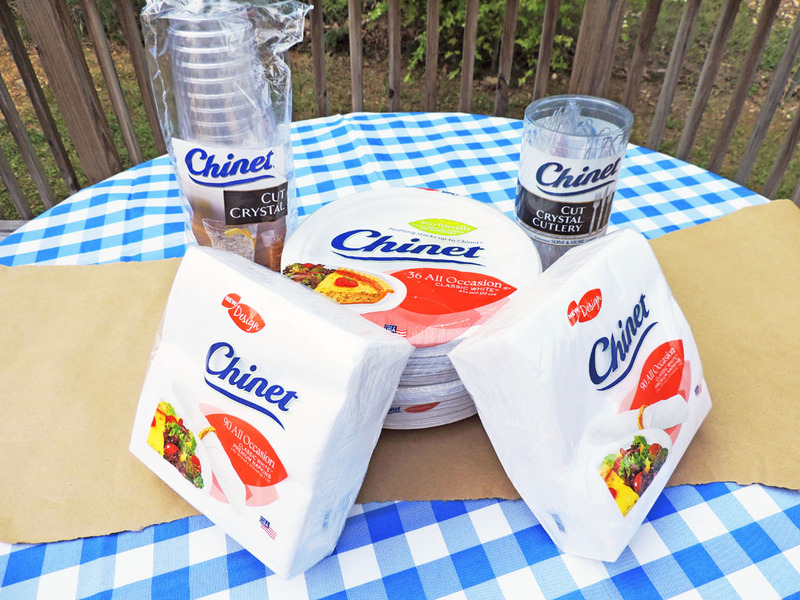 My outdoor parties always consist of 2 things: great food and Chinet® brand products! These products have been a staple at all of my cookouts and gatherings because of its thick and sturdy design, and classic look! Chinet Classic White plates are made from 100% recycled material that can be composted after use. That’s why it’s my top choice! Chinet Classic White plates and bowls are strong enough to serve the heaviest, messiest meals with style. That’s super important because my husband packs a pretty big plate! Lol! Chinet Classic White plates are strong enough for extra helpings and are designed to not bend, fold or leak! 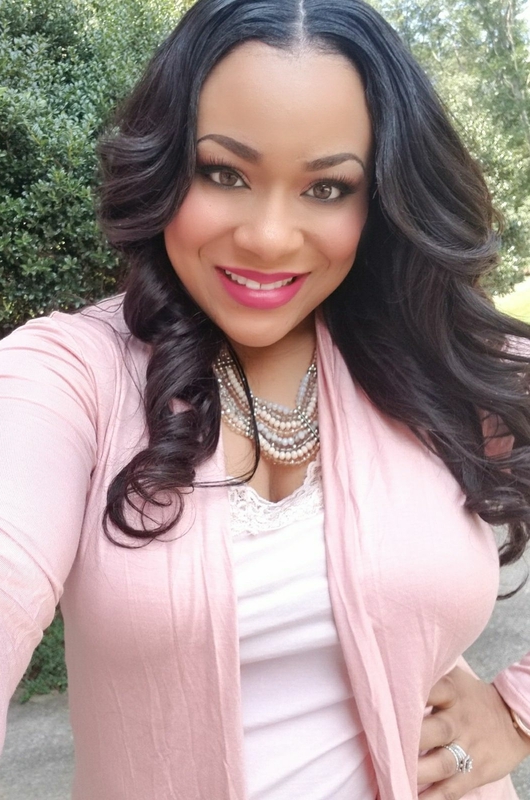 For this party, I kept the décor simple but cute! I used old beer bottles as flower vases and a blue and white checkerboard tablecloth. I used brown craft paper as my table runner and to hold all of the food! I put my Chinet brand products on the table to complete the look! 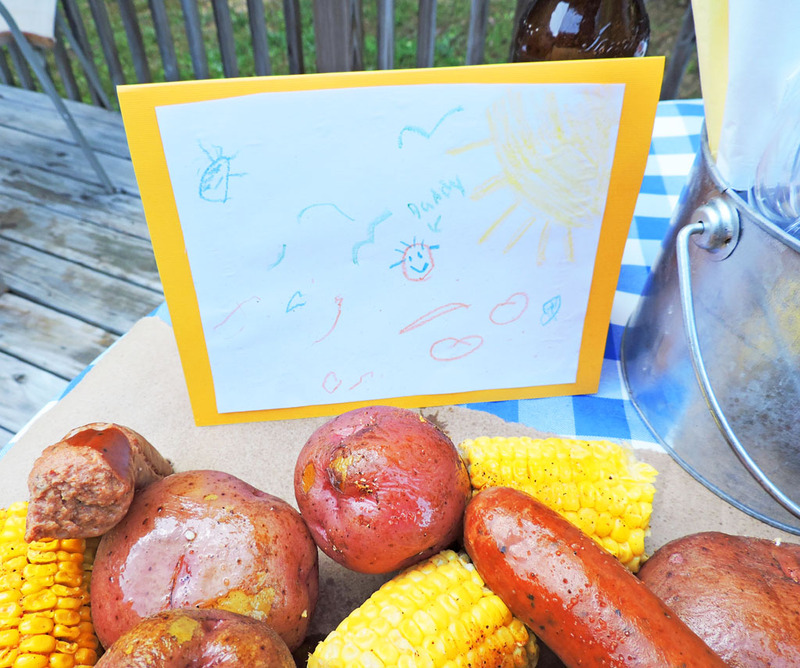 I also had the kids create the cutest Father’s Day cards for daddy, and added them to the table for a sweet, personal touch! The best part about these outdoor parties is that I don’t have to spend a lot of time cleaning up! 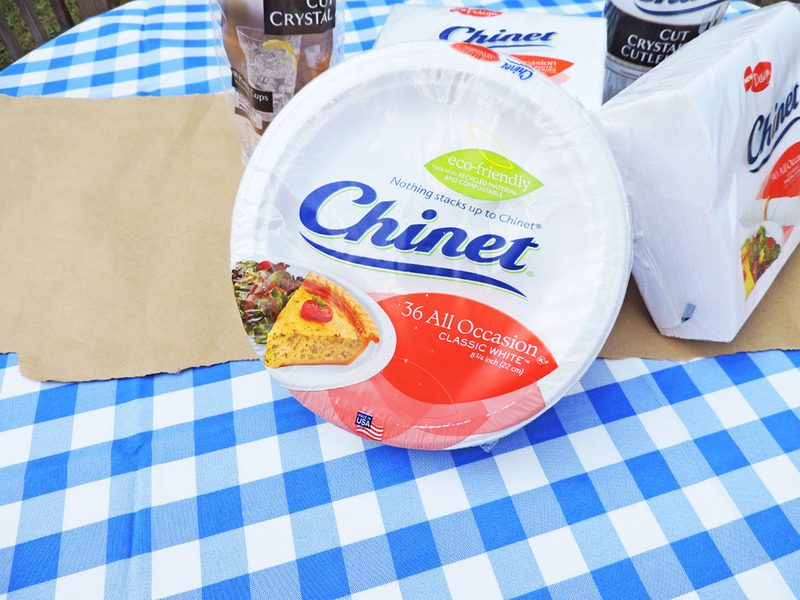 Chinet Classic White products make cleanup easy—just throw away when done! Pretty convenient, right?! his leaves more time for connecting with my family! I hope that you got some great ideas for your next outdoor party or Father’s Day Celebration! 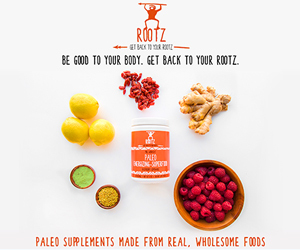 To learn more about Chinet Classic White products, click here! I was selected for this opportunity as a member of CLEVER and the content and opinions expressed here are all my own. Chinet® and Classic White™ are registered trademarks of Huhtamaki, Inc. in the U.S. and other countries. Amazing!! Just what I was looking for! Thanks so much for always sharing such great ideas!